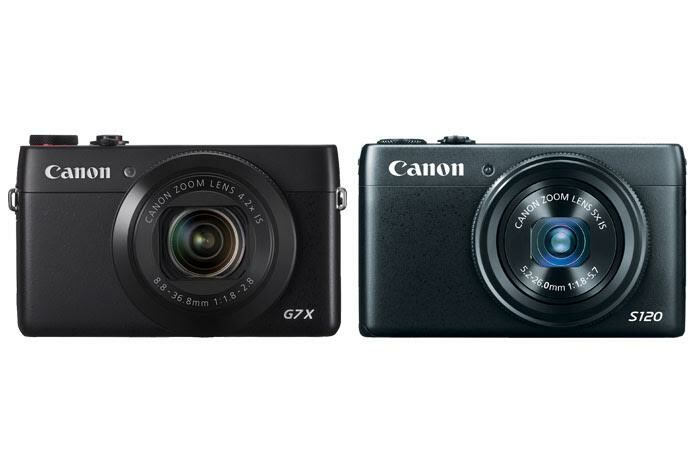 So, you are currently not sure whether you should choose Canon G7X or Canon S120. Even though both products are coming from the same PowerShot series, they are very different from each other. In addition, Canon G7X is also being priced at a considerably higher price point compared to Canon S120. So, in what ways do these two mirrorless digital cameras differ from each other? Is Canon G7X or Canon S120 better for your particular needs and preferences? Find the answer below. If you value compactness and small form factor so much, you will probably love Canon S120. The model, measuring barely 100 x 59 x 29 mm and with 217g body mass, is truly slim and lightweight. You can easily handle Canon S120, and you will have no problem slipping the model into your bag as you go traveling. On the other hand, Canon G7X is a thud bulkier and heavier, but, to be fair, it is nothing excessive. In fact, it also promotes convenient handling and control. Most notably, Canon G7X sports a 3.0-inch tiltable touchscreen display, which allows for easy and intuitive control as well as versatile shooting angles. You can even take selfies with it! Read also : Sony a5100 vs Canon G7X. Since these two models come with non-interchangeable lenses, choosing the model with the right lens also becomes an important consideration. Canon G7X comes with a 24-100mm F/1.8-2.8 zoom lens which is able to provide up to 4.2X optical zoom. On the other hand, Canon S120 offers a relatively more powerful lens. It features a 24-120mm F/1.8-5.7 zoom lens with 5X maximum optical zoom. In addition, it also comes with a wider ISO range of 80 – 12800, as opposed to Canon G7X’s 125 – 12800. And, Canon S120 boasts 12.0-fps continuous shooting speed. Unfortunately, though, Canon S120 is ‘only’ armed with a 12MP 1/1.7” BSI CMOS sensor and 9 AF points. So, Canon S120 is not exactly capable of generating large-sized images or tracking fast-moving objects. For such challenges, Canon G7X becomes much more viable. It is coming with 20MP 1.0” BSI CMOS sensor and 31 AF points. It captures sharper, crisper images with more vibrant and vivid colors. Also, don’t forget that it comes with RAW support. Despite having only average shutter speed of 1/2000s and average continuous shooting speed of 6.5-fps, it is able to track moving object more reliably, making it more flexible and versatile for different photography purposes. In general, Canon G7X makes the best way to go. It comes with a tiltable touchscreen display. It also offers better image quality and RAW support.